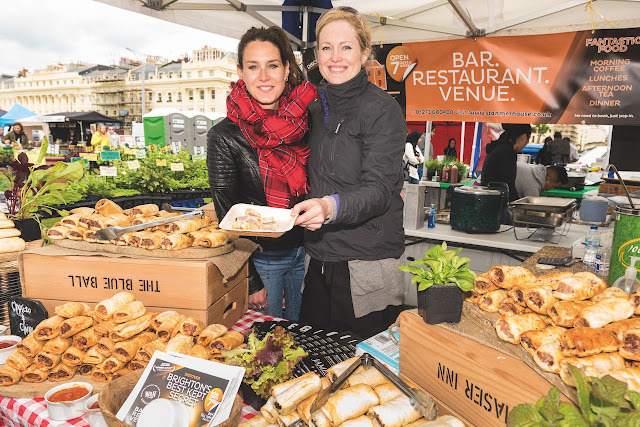 Today, well, yesterday (busy times innit) saw the launch of this year's Spring Brighton Food Festival. This year we also see the inauguration of Brighton Cocktail Week which I'm sure will be a massive hit across the city. The Brighton Food Festival 18-29 May 2017 includes the "Sussex and the World Weekend" on Hove Lawns (the FREE festival, not the other one, the FREE one - got it?) on Saturday 27th - Bank holiday 29th with the usual produce stalls, workshops, tasters and live food show stage. The Children's festival which runs along side this is well worth going to with your little ones too. Along with the festival are, to me, the more interesting food and drink events. Looking good this year is Ridgeview Deconstructed on 19th May where you can try the foundation still wine blends which will go onto to make Ridgeview’s 2016 sparkling wines. The Food Lab (21st May) returns with the best of Brighton chefs and producers to create a tasting menu like no other. Michael Bremner (64 Degrees), Matt Gillan (Pike & Pine), Alun Sperring (The Chilli Pickle), Matty Bowling (1847), Steven Edwards (Etch), Judith Lang (Terre à Terre) and Alex Burtenshaw (Drakes) who each partner with a local producer to create a dish. This is no doubt sold out but worth memory banking for next time. Also worth attending is the "punk" wine tasting event Make Your Case (26th May) which sees presenters attempt to convince the voting audience that their wine is the best of the bunch. Expect fancy dress and mayhem. New this year is Brighton Cocktail Week Thursday 18 - Sunday 28 May 2017. This sounds really good fun and is presented by the fantastic Mixology Group alongside the Brighton & Hove Food and Drink Festival. 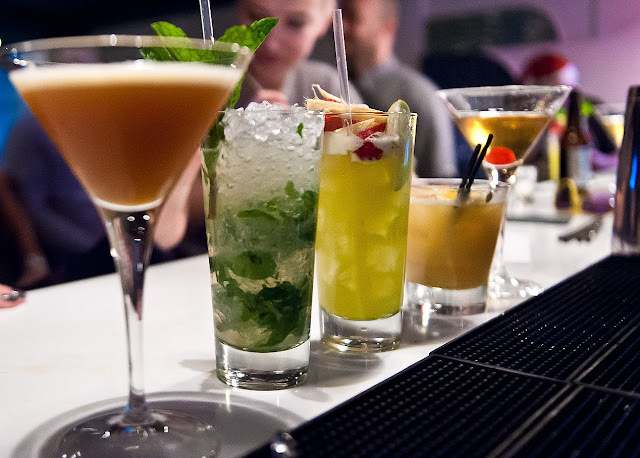 The general idea is that 30 bars and restaurants around Brighton & Hove (including Dandelion, The Coal Shed, The Salt Room, Har Bar, Chilli Pickle and good ol' Valentinos) will be presenting the same five classic cocktails with their own unique twist, and they are just £5 each for wristband holders which cost £10. There's a real mix of participants from the best cocktail bars to pubs and restaurants so it'll certainly be interesting to taste the results. Selected venues will also be hosting one-off masterclasses, food and cocktail pairings, promotions and tastings at a discounted rate for wristband holders. I had a chat with Co-director Myles Cunliffe and even though it's the first year, reception has been really good (duh, cocktails) and plans are already afoot for next year. Wristbands are available to buy from www.brightoncocktailweek.com.